Tis the season to decorate and be jolly, wait, you have a pet? Then you probably believe that Tis the season to run around the house to keep your pet from climbing the Christmas tree. Pulling down the lights or breaking your favorite Christmas mug. It is quite difficult to keep your house in order if you have pets, especially delicate decorations and ornaments made from glass can easily break and injure them or you. During the holiday season, we tend to add a giant tree to their living space and its shining; it must be destroyed! Well, at least that’s what your pet is thinking. 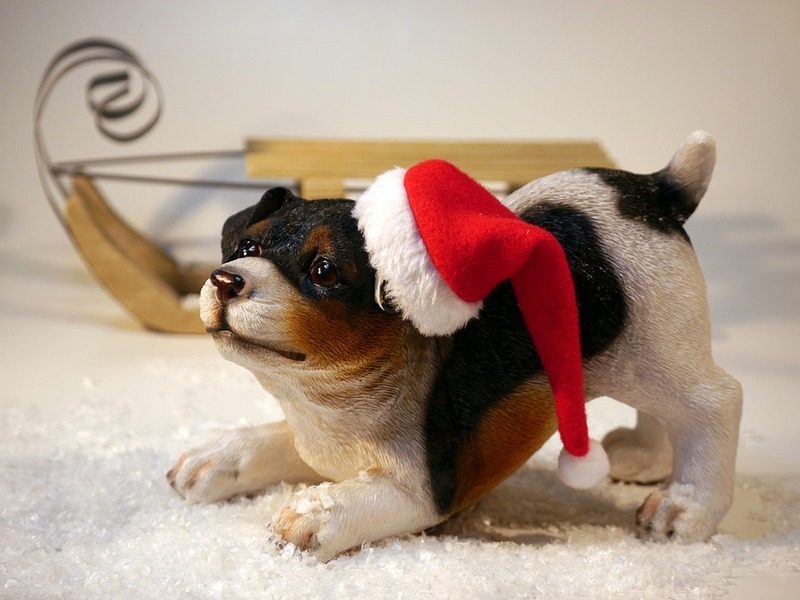 Unless you have a pet hamster or turtle confined to its box, you are not safe from the havoc pets can wreck on your carefully set up holiday décor. Let’s just say they make it their life mission to bring down the tree or tangle themselves in Christmas lights. But don’t let this dull down your festive spirits here are a few tips that will help you to decorate without the threat of your pet destroying it or harming itself. You probably share your cupcake with your pet each you eat me, but keep your creativity limited to plastic decorations unless you want to find the tree and ornaments all sprawled across the floor the second you remove your eyes from it. Do not put cupcakes candies or popcorns in bowls or on the trees. Most pets are house trained and will listen to instructions. Designate a space for your pets to stay in until the festivities are in full swing, of course; they will stay with you where ever you go but putting their food trays and beds in separate rooms without decorations or any other hustle and bustle is very helpful in keeping your pet calm. They can get a little overwhelmed with all the more than usual activities. Hence it is best that they feel safe somewhere. Flocking is the white “fake snow” on trees and Christmas ornaments which can be very detrimental to the health of your pet if eaten. Go for a natural tree and wreaths to decorate your house if you have a pet. A crystal angel may be just the touch your room needs but bear in mind that your pet might just topple it over or worse shatter it which can be very dangerous and cause injury to them and you. Go for decorations that are plastic or unbreakable to avoid such hazards. Candles add the final touch to your festivities, the excellent Christmas scents are difficult to avoid. However, candles pose a danger to your furry companions. Whenever you have lit candles, make sure you are in the room and supervise it closely. Do not let your pet near any lit candles. Trees have oils can be very harmful to the health of the dogs and cats, if they even have a minor quantity it can harm their intestinal lining and cause a leaky gut which is life-threatening to them. The preservatives sprayed on the trees to keep them fresher for longer can be very harmful to the health of your pet. Always cover the base of the tree well, and you can also use a lemon-scented air freshener near the base to keep the pets away from it. 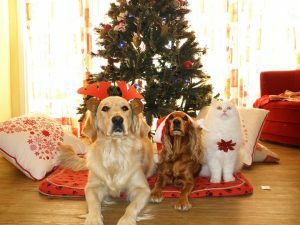 A few minor adjustments to your holiday décor and your house can be helpful in pet-proofing your decorations and also keep them safe in the process.